Growing beard is a symbol of manliness. Since history, beards were associated with wisdom, power, virility, masculinity and leadership. However, from a psychological point, growing a beard is a sign of maturity, and when we talk about female perspective then, it's a symbol of attractiveness. 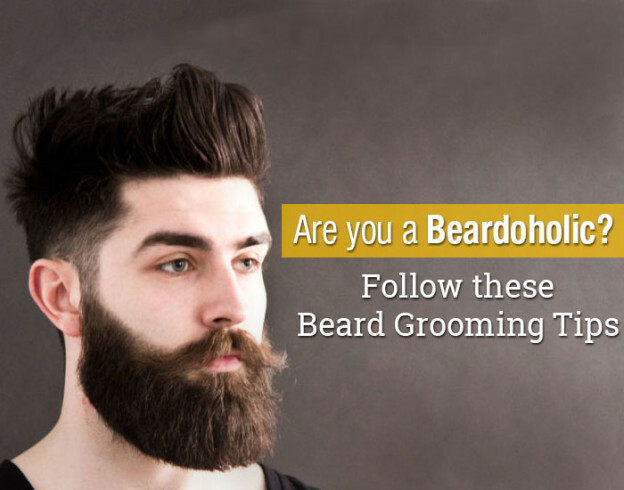 But do you know the best and easy ways to grow beard? Have Patience: Growing beard requires a sufficient self-restraint. When you start growing your beard, make sure you trim it for the first time, and then later on leave it for max 6 weeks. This will allow the hairs to grow faster, and therefore will help you style them. Face Shape: A beard must be styled according to your face shape. After one month of growth, pick a final style you think will compliment your face and style. Trim it properly: Trimming your beard is utmost important, so prefer investing in buying a good trimmer, and importantly follow the right technique to trim. One single mistake can ruin your beard style. Regular wash: One of the important point for growing your beard because skin cells can result itchiness when you fail to wash. Prefer scrubbing your head several times every week with a good conditioner, and then gently pat it otherwise it will lead to split ends and frizziness. Beard Oil: Regularly using a beard oil is mandatory if you are serious about growing a beard. Prefer buying beard oil, which has less chemicals. Preferably, in a good technique, apply beard oil. Proper diet: Beards merely depend on vitamins like B5, B9 and B3. Make a habit of eating egg yolks, green vegetables, milk, nuts and meat. Also, eat protein rich foods for better growth. On That Note: Gentlemen, it's time to show your new look to everyone with these tips. Rock your beard style!